In the text cited above, Mary Kelly sketches the various possibilities for escaping of the female dilemma of simultaneously being the object and the subject of desire: androgyny, purposely assuming the patriarchal facade, or a kind of iconoclasm, in which images are generally excluded, thus constructing meaning through absence. The selected artists work in different ways with these strategies, thus occupying positions located in between dichotomous delimitations. Maria Hahnenkamp’s slide projections of fragments of female and male bodies from historical paintings probes the human body visually, so to speak. She questions who looks where and why, providing a historical pictorial analysis, yet entangles us in the snares of our own wishes at the same time. Meike Schmidt-Gleim’s book project also treats historical material, specifically the 12 Discussions on Sexuality, which were conducted by a group of almost exclusively male Surrealists between 1928 and 1932. 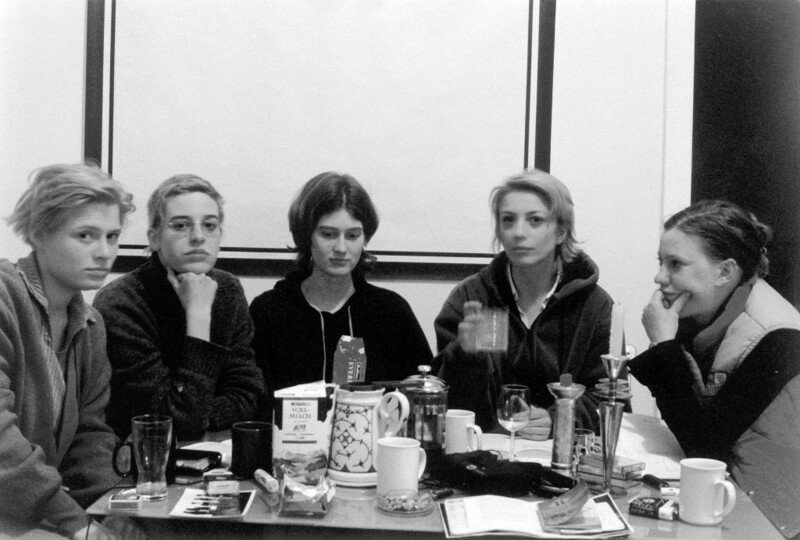 She reproduced these discussions with other women artists, exchanging the roles of the speakers and those spoken of. Prepared in book form in the same layout, she mixes the transcribed discussions with the original. A delicate discourse on sexuality and love evolves in the new version, although here the power of definition is held by the female participants. 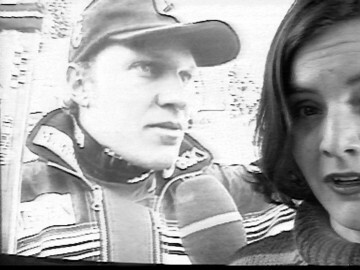 In Dagmar Trampisch’s video Bergkameraden, the artist delivers an affectionate commentary on the heroes, the Austrian downhill skiing team. The relationship between female fans and male stars, but also the construction of national identity through high-performance sports are subtly and ironically called into question. 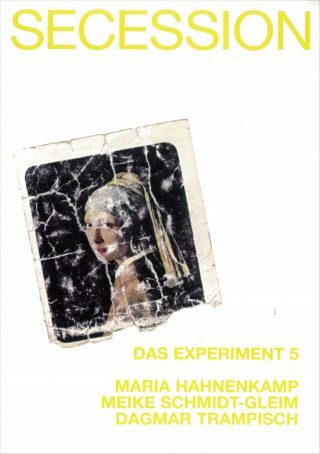 Maria Hahnenkamp, born in 1959, lives and works in Vienna. Meike Schmidt-Gleim, born in 1972, lives and works in Vienna. Dagmar Trampisch, born in 1973, lives and works in Vienna.